Carolyn Turner, a Mableton GA-Cobb County resident, business owner and nonprofit organization founder and executive director. She is a 30-year veteran of county government in the area of Tax assessments, mapping & appraisal and collection of property taxes, preparation of tax digests; with specialty in working with seven CID (Community Improvement Districts) in a neighboring GA county. She is the owner of Turner Business Associates, LLC, a business consulting firm & d/b/a Quick Tax Professionals, LLC. She is the Founder and Director of H.O.P.E. Family Resource Center, Inc., a 501c3 Tax Exempt organization providing basic needs for families and children in the South Cobb area. 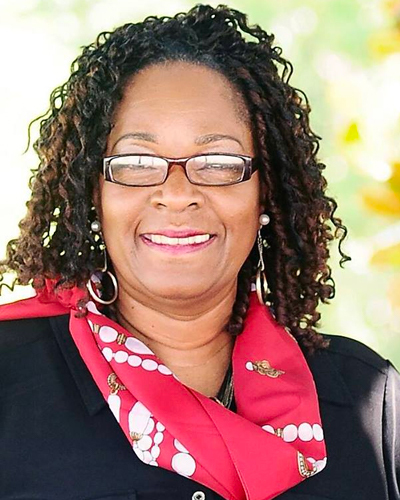 She is currently serving on the Cobb Board of Tax Assessors, appointed by the Board of Commissioners of Cobb County, GA. She currently serves as Chairperson and Grant Administrator for a FEMA Emergency Food & Shelter Program in her hometown. She is a member of the National Association of Tax Professionals, Austell Community Task Force (ACT) & Partnership, Cobb Chamber of Commerce, and Mableton Improvement Coalition. She also serves as Executive Administrator of New Life MBC in Mableton under the shepherd leadership of Senior Pastor, Ronald McCrary. She is married to Sherman and the parents of 3 children. Having a passion for community, she has participated and sponsored many outreach projects. Special projects includes community feeding programs, Emergency Food & Shelter Programs, foreign mission trips, Boys & Girls Clubs, Small Business workshop & seminar setups, community day events, health fairs, youth job fairs and summer activities, Little League of America, county coordinator, life skill programs, business etiquette workshops, and scholarship fundraisers .